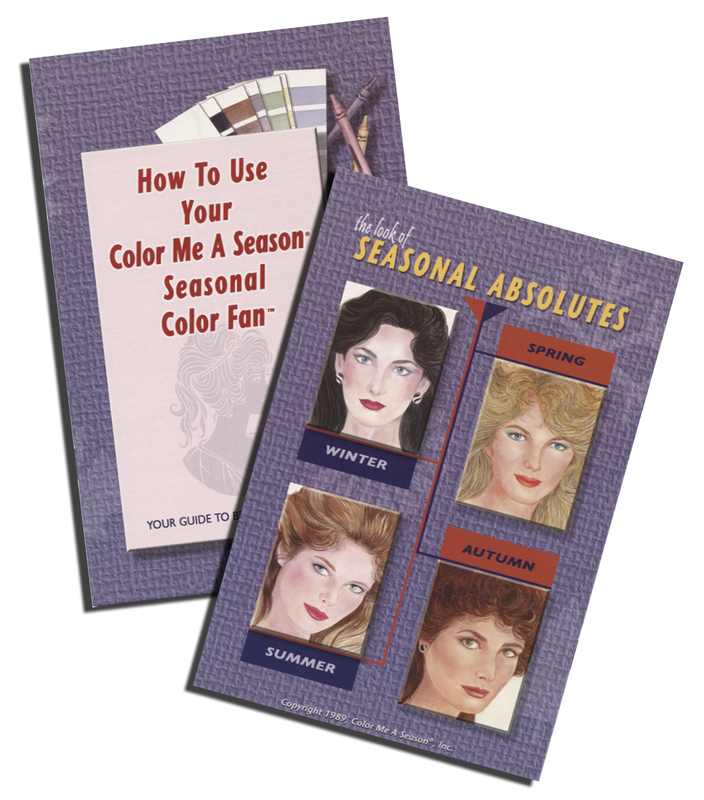 Unique Seasonal Color Fans (Swatches) that contain all the colors your clients will need that will cover all of the variations of Seasonal Blends within each Season. These items are great to include in your color analysis and for your clients to take home with them after they have been marked especially for the their Season. 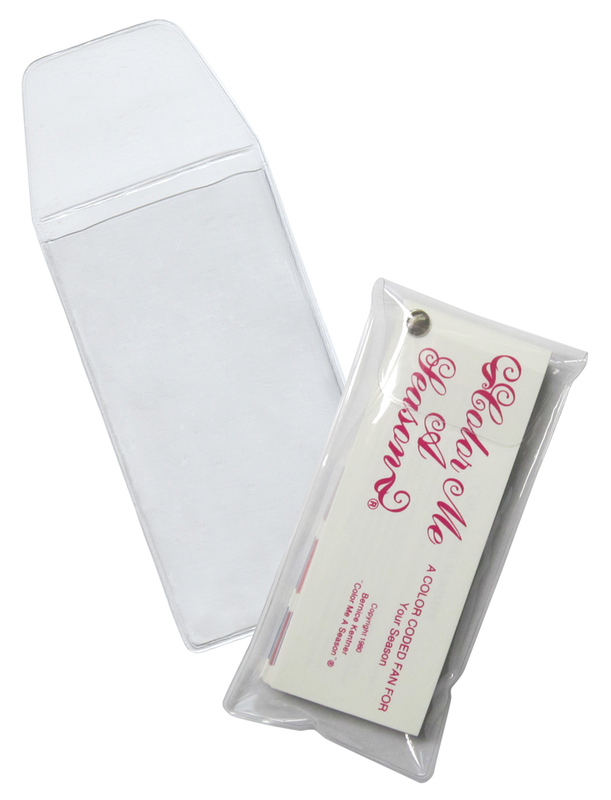 The Seasonal Color Fan includes a FREE Wardrobe Analysis Booklet and a Plastic Protection Pouch!